The word brunch was first used in England in the late 1800's. Brunches are ideal on Sunday afternoons as it is too late breakfast I’m too early to have lunch. 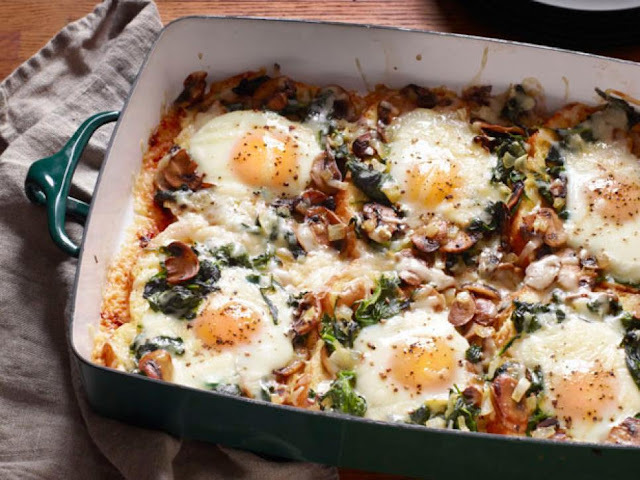 Here are some of the easy, tasty and healthy recipes for brunch. Beat the eggs and grate the potatoes. Mix them properly in a baking cup with salt and pepper. Bake this mixture for about 5 minutes. Top with grated cheese and butter and bake for another 1-2 minutes. Prepare a smooth batter with all the ingredients except butter and bananas. Mash the bananas and add to this batter. Pour one cup of this batter into a pan and fry with butter until golden brown. Cook chopped potatoes in oil with pepper and salt until golden brown. Add the leftover rice, a pinch of salt and pepper and cook for 1 more minute. Add salt and pepper to chicken pieces and bake for about 10 minutes. Mix all the other items in a bowl and add baked chicken pieces and serve hot. Mix all the ingredients in a bowl except dosa batter and keep aside. Prepare a dosa on a pan and pour the previously prepared mixture over the dosa and cook for about 3 minutes with a lid on. Serve with mango or lime pickle. Add 2 tablespoons of oil in a pan and add mustard seeds, asafoetida and turmeric. Add chopped onions and tomatoes and sauté for 2 minutes. Add soaked poha and sauté for 1 minute. Add salt to taste and top with groundnut seeds. Squeeze a lemon over it and serve with green Chutney. Shallow fry chopped potatoes, carrots, cabbage and cauliflower with salt for 10 minutes. Add chopped onions and tomatoes in a bowl, add ½ a teaspoon of green chutney and ½ a teaspoon of sweet chutney and salt and mix well. Add fried veggies to this mixture and mix properly and finally add 2 spoons of curd (optional).